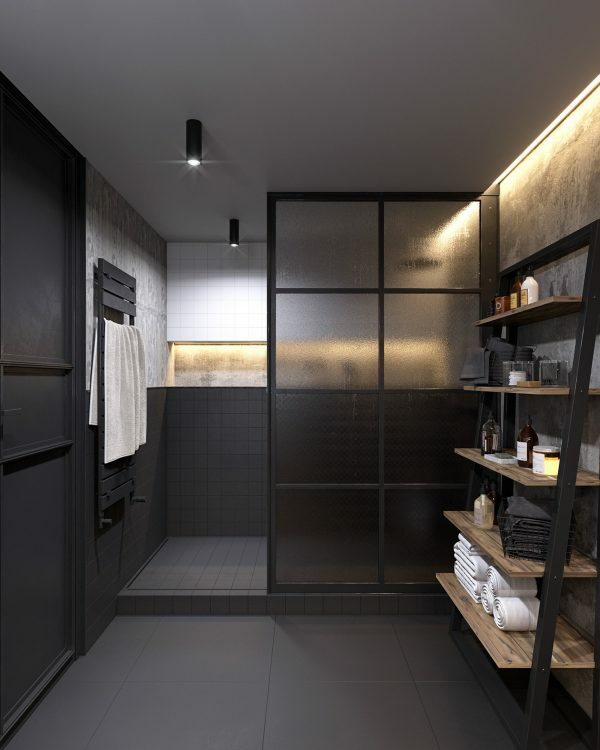 Industrial chic interior design doesn’t have to be stark and grey. 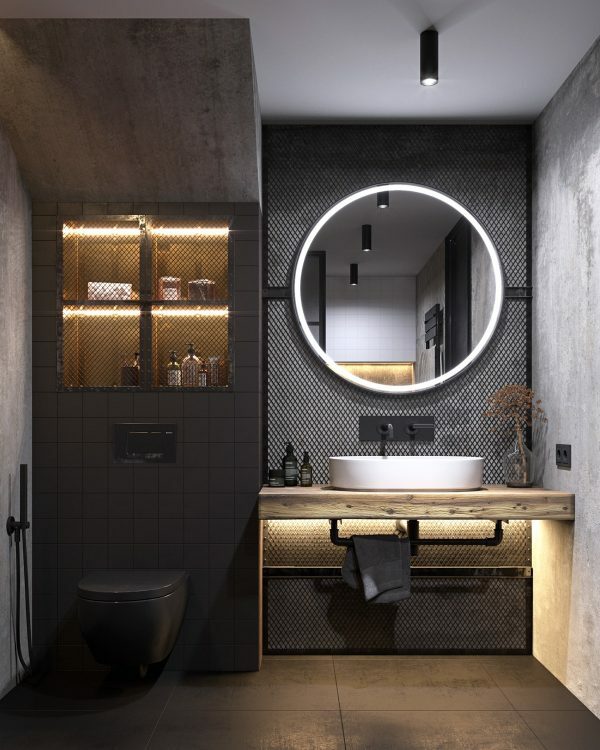 The industrial vibe can be warm and rich – whether that comes via glowy lighting schemes, chic home accessories or unique decor touches that’s up to you. 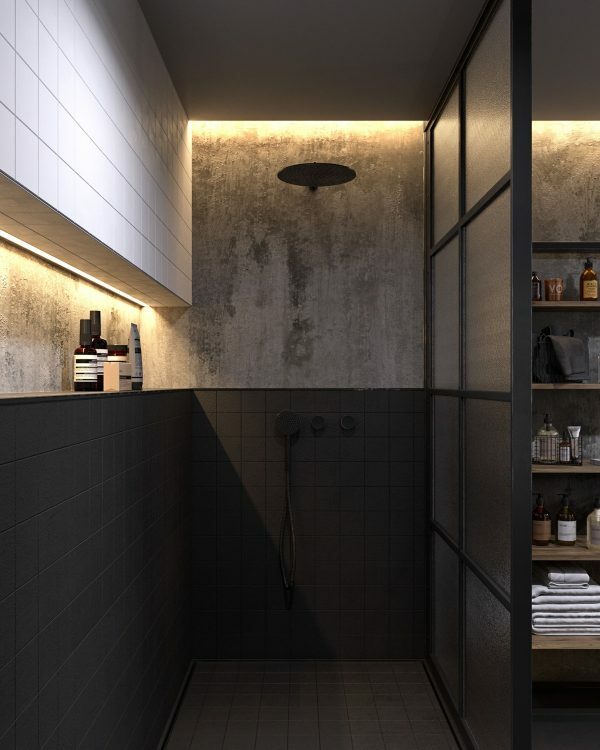 We’ve gathered together four apartment designs that turn up the dial on industrial style, each pushing a different envelope in how to make a house into a home. 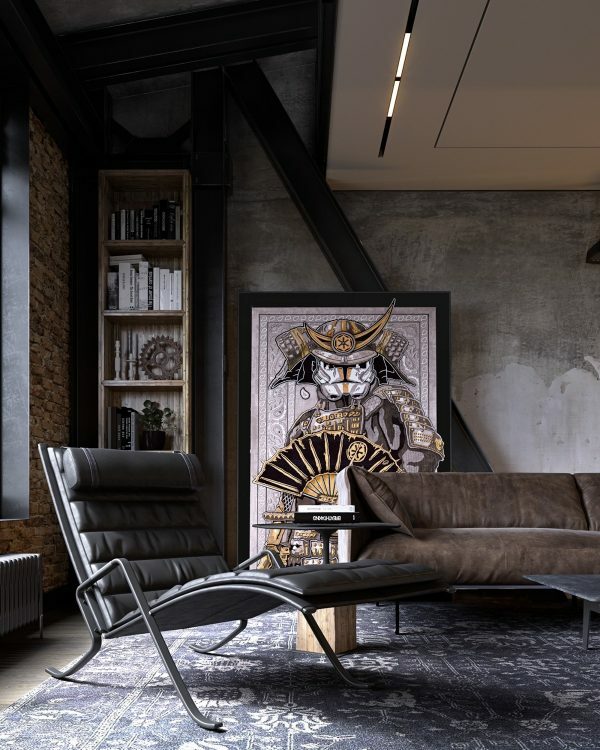 You’ll also find inspiration for how to introduce art into an industrial home interior and some smart layouts for living spaces on different sized scales. Find stylish cozy furniture to counteract cool concrete walls and fabulous ideas for lighting installations. 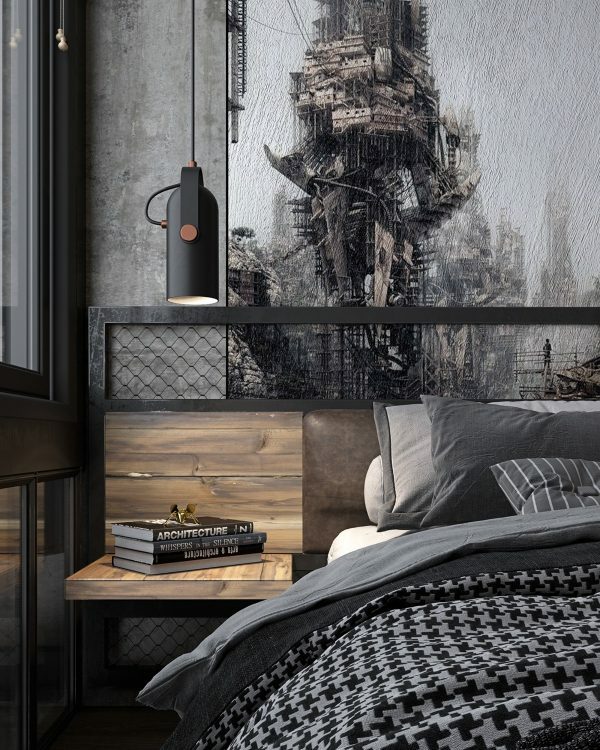 Striking artwork colors a raw concrete wall. A patterned rug adds movement to the floor area beneath a sleek black lounge chair. A ceiling mounted fireplace descends in the center of the open plan space, between the lounge and a kitchen diner. One side of the central island is utilized as the eating area. 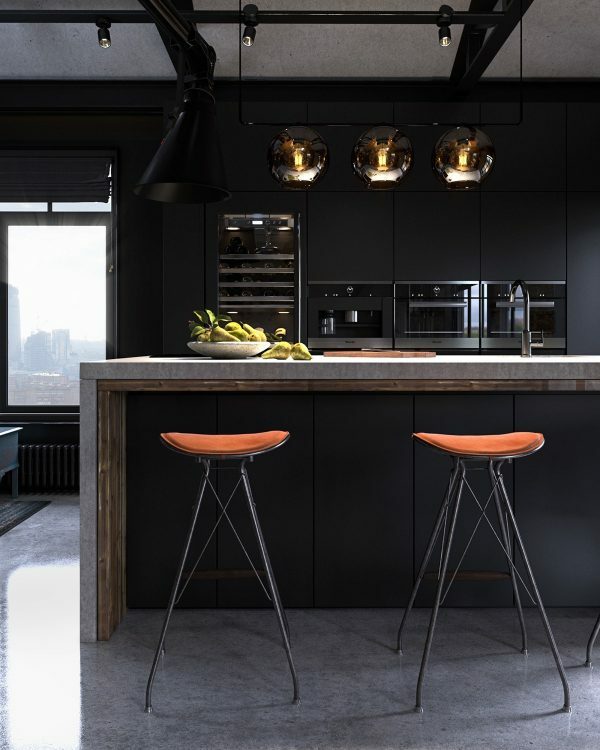 A row of kitchen bar stools stands on industrial style metal legs beneath the fiery glow of unique kitchen pendant lights. 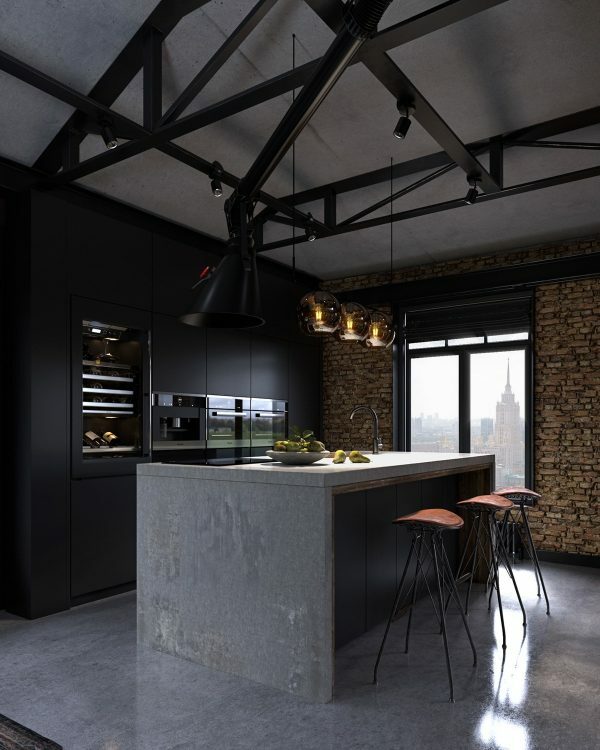 Behind the island, integrated appliances fit into one whole wall of black kitchen cabinets. A Seletti Monkey Lamp swings by the window, over a distressed teal storage chest. The novelty lamp is reflected in the glass of a huge gilt-framed mirror propped casually in the corner. 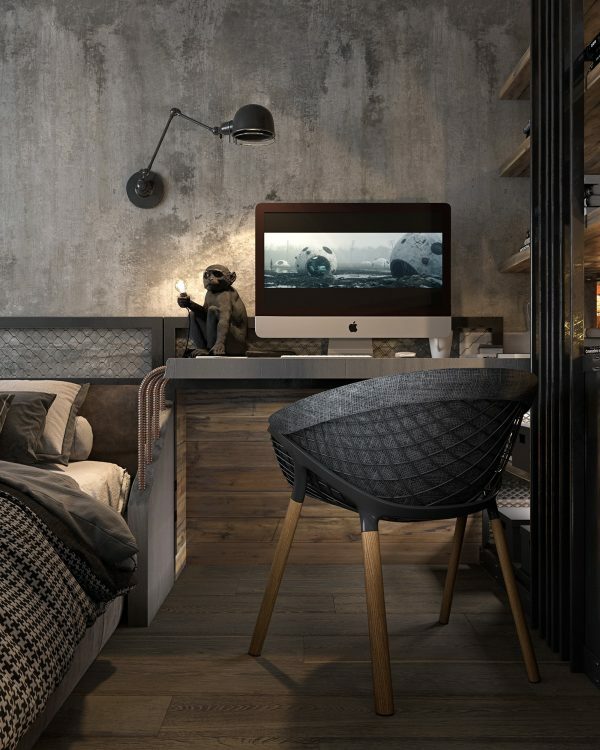 Inside the master bedroom, there is a home office area with a computer desk and bookshelves. 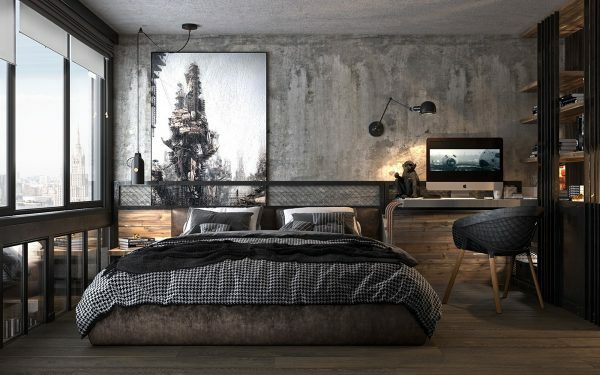 A metal fence-like detail runs along the top of the desk and along the top of the adjacent headboard.